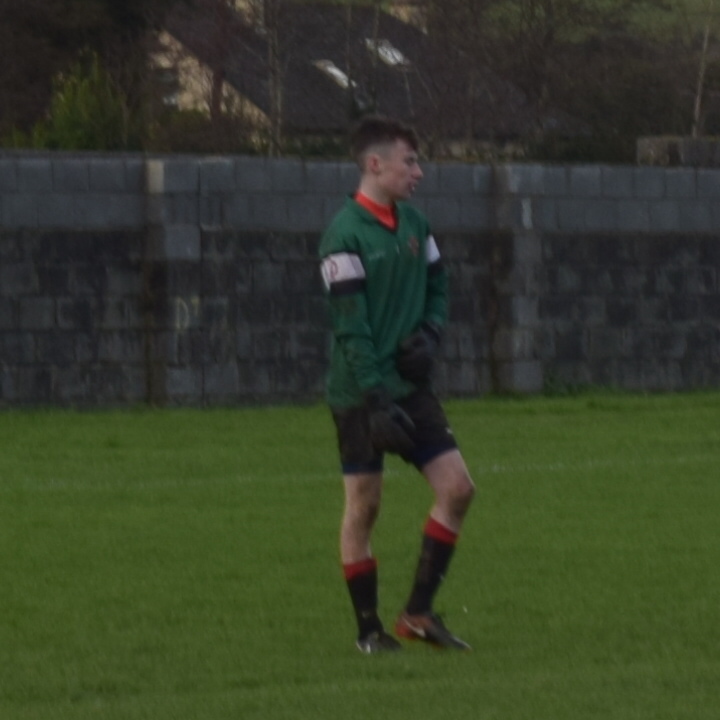 Our 16B team played out in a cold & winter CastleIsland on Saturday coming away with a 4 nil win after a much improved performance. Michael Lally was a constant thorn in the CastleIsland defense scoring twice & hitting the crossbar with a header. After a lovely cross from Robert Kerins, Mike powered past the two Centre backs to finish low into the bottom corner for his first on eight minutes. A minute later another cross from the excellent Jordan Mason was met by Mike & he rattled the crossbar with his header with Luke Dennehy coolly firing the rebound into the net. CastleIsland should have pulled one back a minute later but somehow hit the crossbar twice before Man of the Match Stephen Nix made a top class save to deny them. Another lovely pass in between the two Centre backs had Mike Lally racing through on goal & despite a good old fashioned shoulder charge he managed to finish to the back of the net for our third. We should have added to our tally in the final twenty minutes of the half with Robert twice being denied by their keeper & Tide firing just wide. Stephen was called on once again to make a fine 1 V 1 save before Mark Roche finished the game with our fourth after a pin point first time ball from TJ sent him in his way. Straight from the restart CastleIsland hit the post & only God knows how they didn’t pull at least one or two goals back in the second half with a combination of Stephen Nix saves & poor finishing keeping the score line the same. For us both Mike & Robert had late chances but both times last gasp blocks saved the CastleIsland lads. 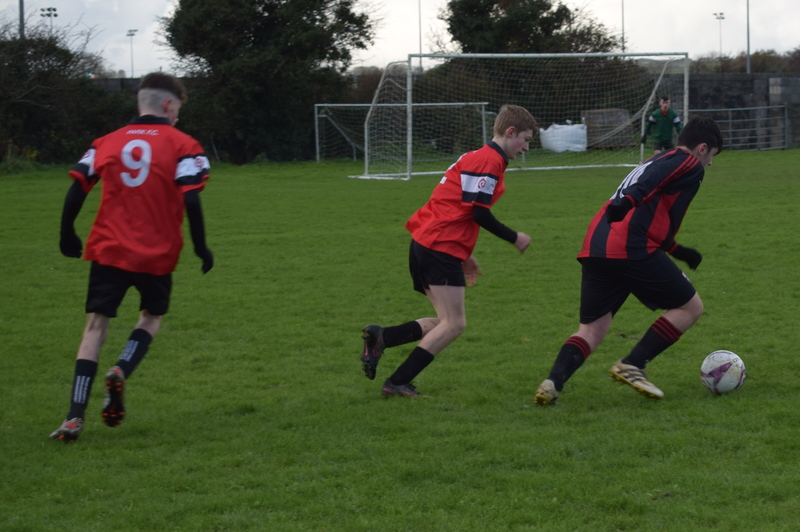 Kieran O Leary & Jordan Mason worked tirelessly in midfield, while Peter Dineen was composed clearing the danger area. As always Liam Magee tackled like his life depended on it & Ryan O Sullivan & Eoin McDonnell at fullback both gave the CastleIsland wingers no time on the ball. Simon Moynihan, on the right wing, gave the fullback a busy day with his strong runs behind their defense & Darragh Mansfield was very unlucky not to score after a toe-poke deflected his goal bound shot. A good team performance all round with our keeper getting the MotM for some exceptional saves. 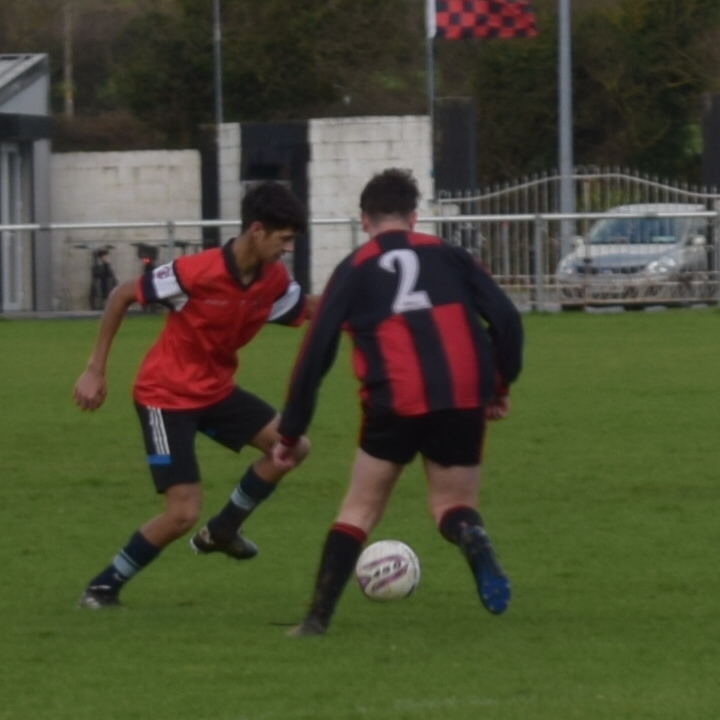 ST.BRENDANS PARK 1 – 4 MASTERGEEHA. WE STARTED OFF THE GAME VERY SLOWLY AND WERE UNDER A LOT OF PRESSURE FOR THE FIRST 10 MINUTES.MASTERGEEHA HAD A LOT OF THE PLAY BUT OUR BOYS KEPT IN THE GAME ESPECIALLY FROM THE HARD WORK OF OUR MIDFIELD AND BACK LINE.STEVEN NIX STARTED IN GOALS AND AS USUAL GAVE 100%.OUR BACK LINE OF RYAN,PETER,CIARAN AND LUKE DID VERY WELL AND OUR MIDFIELD OF GREG,SEAN, MICHAEL AND SIMON WORKED VERY HARD.UP FRONT ROBERT WAS PARTNERED BY MARK.WE CONSEEDED THE FIRST GOAL AFTER 15 MINUTES WHEN A CORNER WHICH WAS ALLEGED TO HAVE BEEN HANDLED BY ONE OF THE LADS.PARK 0 – 1 MASTERGEEHA.THIS SEEMED TO GIVE US THE KICK WE NEEDED AND WE STARTED TO PLAY THE WAY WE ARE USED OFF.WE BROUGHT ROBERT OUT TO MIDFIELD AND PUT MICHAEL UP FRONT AND THIS REALLY STARTED TO WORK WELL FOR US AS MASTERGEEHA WERE FINDING IT HARD TO STAY WITH THE PACE AND STRENGTH OF MICHAEL.MASTERGEEHA KICKED A LONG BALL UP FIELD AND A MASTERGEEHA PLAYER CLEARLY OFF SIDE SCORED THEIR SECOND.WE WERE WINNING MIDFIELD NOW AND THAT WAS REWARDED WHEN WE GOT A FREE KICK ABOUT 30 YARDS FROM THE MASTERGEEHA GOAL.UP STEPPED GREG (MESSI) SCANLON WHO DROVE THE BALL TO THE TOP LEFT HAND CORNER LEAVING THE KEEPER STUCK TO THE GROUND WITH NO CHANCE OF SAVING IT.HALF TIME PARK 1 – 2 MASTERGEEHA. WE CAME OUT IN THE SECOND HALF AND THE BATTLE TO WIN MIDFIELD RESTARTED.WE BROUGHT LUKE OUT NOW TO MIDFIELD TO HELP GREG,ROBERT AND SEAN. EOIN CAME ON AND SLOTTED INTO LEFT BACK.WE WERE WELL ON TOP NOW AND WITH MICHAEL AND SIMON CAUSING ALOT OF PROBLEMS.DARRAGH CAME ON AND JOINED MICHAEL UP FRONT.OUR MIDFIELD STARTED PLAYING A LOT OF BALL OVER THEIR BACK FOUR AND IT WAS CAUSING A LOT OF TROUBLE TO MASTERGEEHA AS THEY COULDNT HANDLE MICHAEL.MICHAEL COULD HAVE HAD A HAND FULL OF GOALS ONLY FOR THE GREAT GOALKEEPING OF THE MASTERGEEHA KEEPER.THE DIFERENCE BETWEEN BOTH TEAMS TODAY WAS THAT THEY TOOK THEIR CHANCES AND WE DIDNT.MASTERGEEHA WENT ON TO SCORE ANOTHER 2 GOALS BUT THE SCORE LINE DOSENT REFLECT THE WAY THE GAME WAS PLAYED.A LOT HAS BEEN LEARNT FROM THIS GAME SO ONWARDS AND UPWARDS FROM NOW ON. TEAM; STEVEN NIX,RYAN O SULLIVAN,PETER DINEEN,CIARAN O LEARY,LUKE DENNEHY (CAPT),SIMON MOYNIHAN,GREG SCANLON,SEAN SOOKARRY,ROBERT KERINS,MARK ROCHE,MICHAEL LALLY,EOIN MCDONNELL,DARRAGH MANSFIELD. SPECIAL THANKS TO RONAN CAVANAGH FOR HELPING US OUT TODAY AND OUR PHOTOGRAPHER JOANNA. 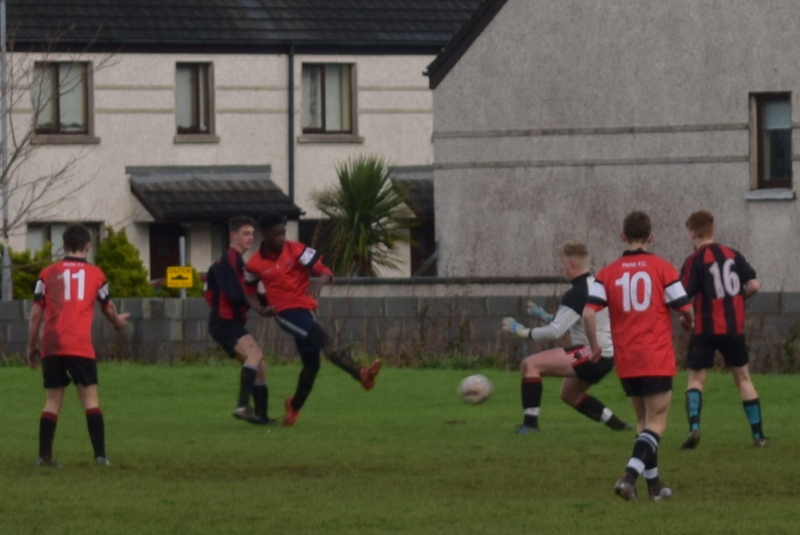 Our 16s had a tough encounter at home on Saturday in the National Cup against a very good Nenagh side with a last thirty two place at stake & also a Munster semifinal up for grabs. Conditions were terrible with wind & rain throughout the eighty minutes but both teams tried to play passing football nevertheless. We started the brighter dominating most of the first thirty minutes but really should have had two or three goals for our efforts. We did however get one on eleven minutes after a beauty of a through ball from Darragh Moriarty sent John Carmody on his way & John made no mistake with a cool finish. It was no more than we deserved after John had skinned the cross bar, Mervyn had seen his shot saved & Darragh Moriarty had seen his goal ward shot sail just over with the Nenagh keeper beaten. Some days you just can’t buy a goal & when Luke Dennehy’s cross clipped the cross bar, again with the Nenagh keeper beaten, it looked like faith was against us. Darragh again shot just over from outside the box & Nenagh couldn’t get up the field but when the did they found Cian Purcell, Greg Scanlon, Nick Izehi, Andrew Murphy & Luke Dennehy a wall of red & black. The final ten minutes of the half saw the Tipp lads have their first real shot before a punt upfield wasn’t dealt with by our defence & the final touch coming off one of our heads for a killer equaliser right on halftime. All our good work cancelled out. Nenagh came out fighting in the second half & should have taken the lead inside the first ten minutes but we managed to clear our lines. Then came the match changer after another attack on the right wing & a cross was met first time on the volley with our Captain Devon Burns making a double ‘Darren Randolph’ like save on the line which could have changed the course of the game. Terence Carmody moved from the wing into left back with TJ McMahon going out wide & Robert Kerins coming on for Darragh Moriarty who had covered every blade of grass on both wings. Nathan Holden was taking the fight to Nenagh in the middle of the Park & eventually had to be replaced after seventy five minutes with Tide bringing a fresh pair of legs into the centre. The changes gave us a foothold again & TJ was starting to show how dangerous he can be with a shot across the goal followed by a volley which agonisingly hit the side netting. With three minutes of normal time time left & extra time looming large TJ cut in from the left turning inside the Nenagh defender before coolly slotting the ball into the net to spark wild celebrations on & off the pitch. After two very long minutes of injury time the final whistle came at last & we can now look forward to at least another two games against some of the best teams in the country. 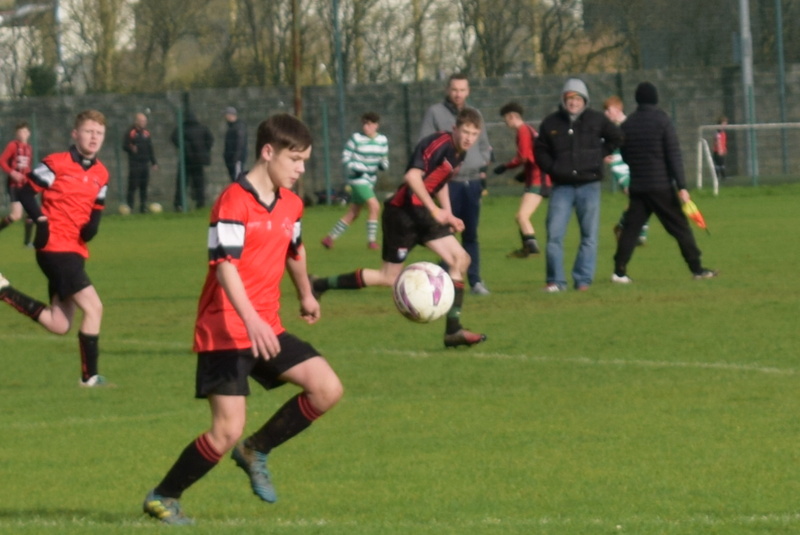 Our 16′s travel to Limerick city on Saturday to play Caherdavin Celtic in the National Cup. 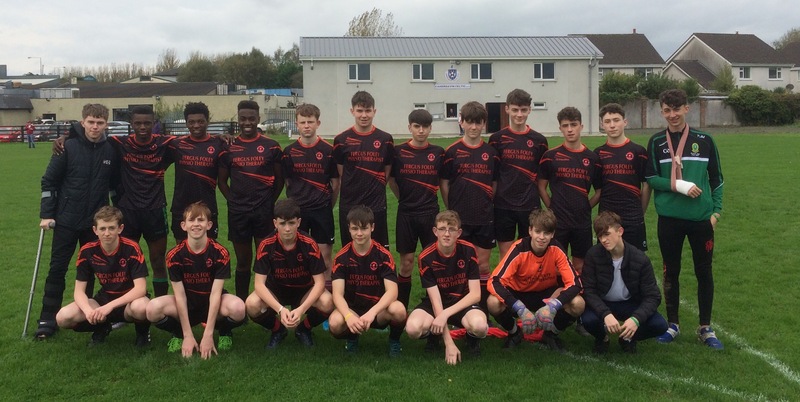 Our 16 B’s recorded their second win of the league after a hard fought win against an ex-Park loaded Fenit on Saturday evening on a score line of 3 – 2. Robert Kerins opened the scoring after twelve minutes after the Fenit keeper had made a fine double save. Straight from the tip off we won back the ball & Jacob Radulescu hit the net for our second in less than a minute. Between this & halftime we could have had three or four more but for some last gasp saves & poor finishing but Slywester Trafny eventually getting our third before the break with a neat turn & shot. It wasn’t however all one way traffic as Fenit came close on a number of occasions but for DJ Griffin making at least three smart saves & Ryan O Sullivan clearing off the line. Liam Magee & Peter Dineen had a lot to do but dealt with the job magnificently through out. Conor Kavanagh & Ryan both played outstanding & ran themselves into the ground. The second half was backs to the walls stuff as Fenit threw the kitchen sink at us & on fifty minutes got what they deserved with a good finish. Within ten minutes it was three two after a free deceived DJ to leave us hanging on. Despite both sides having a number of chances, some very good chances, that was the way it finished. But for the brilliant display by Jordan Mason & also Liam Magee in centre mid in the second half & Robert Kerins who played in about four different positions we surely wouldn’t have come away with three points. At last the full time whistle blew & our lads enjoyed the win, well done to all sixteen players who gave it everything. Man of the match: Liam Magee. 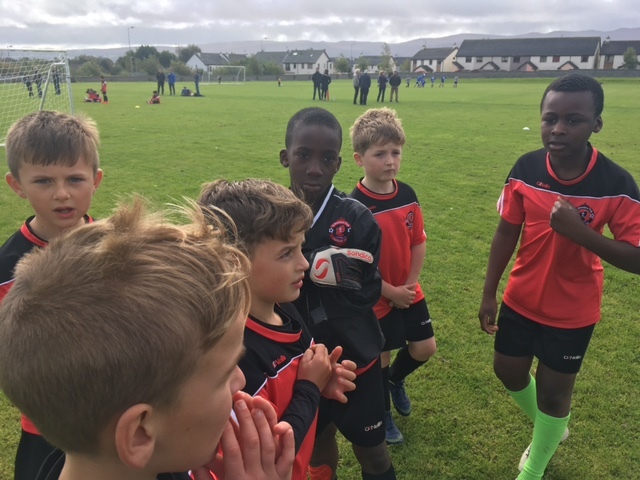 We eventually got our league campaign off to a flying start at home to Killarney Athletic on Saturday with a 7 – 2 victory & even though the margin seemed comfortable it was anything but as the Athletic lads battled until the end with 10 men for much of the second half. After a very slow start we managed to string some passes together before Mervyn went on a run into the box leaving all in his wake before firing an unstoppable shot to the net for the opening score after fifteen minutes. Three minutes later John Carmody let rip from outside the box for surely a contender for goal of the season to put us two up. Michael Lally then conceded a peno to give the Athletic lads a lifeline before halftime. Another lovely move involving a Mervyn & John one-two had John score his second of the half to leave us three one up at the break. That lifeline however lasted just five minutes after Athletics keeper tripped Terence Carmody in the box giving ref Willie Gorman no option but to show him a straight red & Terence’s peno was saved by the sub keeper. Terence had made amends five minutes later with a last touch to his brother goal bound shot to claim the goal. Devon Burns made some fine one on one saves to keep our lead intact while Nick Izehi & Cian Purcell were rocks in defence. In the centre of the pitch Nathan Holden & Elliot Lynch were winning tackles all over the place while at left back Luke Dennehy looked very comfortable on the ball & provided plenty of options for Darragh Moriarty to drive up the wing. TJ McMahon came off the bench at halftime to add to the scoring with a lovely finish before Athletic rattled the net for the second time with an unstoppable free from outside the box after we gave away a needless foul. Eventually John Carmody finished off his hat-track after rattling the crossbar earlier with a fine finish with his right. Not to be outdone the midfield dynamo Nathan Holden finished the scoring to leave the final score 7 – 2. We wish TJ & Jack Kirby speedy recoveries from their injuries, get well soon lads ! Men of the match: John Carmody & Elliot Lynch.